Either you want to dine alone or together with your guests or organize an event it is the perfect place for those with refined tastes. La Pastorella Bar distinguishes itself by perfect harmonization and architectonical framing in the middle of an area full of history. Nice place for quiet, relaxing break! Nice experience, nice and helpful staff. Baie murdara, miros neplacut in camera, mic dejun nesatisfacator. Everything nice, I was missing the bathtub. More options for room service and minibar at lower prices. It was very nice to be there. The staff was very kind. The breakfast was delicious. The spa is quite small, but enough for me. Nice and clean hotel. Close to center. Room and bathroom are big, clean and comfortable. In the room we have a problem with aircon (very hot), but we dont have any help from staff (answer - you can open the window....). Not good! Staff at the reception not much helpfull and bad informed. Breakfast... it's the same every day... Problem with teaspoon. Everything is cold (eggs, sausages, etc). No matter what time you come. Restaurant is clean and big. We stayed only two days in this hotel and we left with the decision to come back and stay longer. It is a very warm and friendly with nice staff. The room in the 4th floor is huge with a lot of wooden decorations and a corner with a table for either activities or having meals. The entire hotel is refurbished in a boutique manner. On top of these, in the basement exist a SPA for relaxation. Very good conditions at a very good price. We were delighted by the architecture of the hotel, room was very spacious and the food very good. We'd like to come back another time. PS: We had a small problem with the warm water on Saturday afternoon. Excellent breakfast and very nice decorations in the lobby. The staff was polite and efficient. Rooms and bathrooms could be more modern and updated but we had a very nice view to the medieval city of Sighisoara to compensate. Everything was great. Especially the professionalism and kindness of all the team. All the rooms were exceptionally spacious, cosy and grand in appearance, with a charming wood Tyrolean decor and traditional oven stoves with siting places. Our upgraded suite was over our expectations. We enjoyed the welcoming wine in a great atmosphere with live music entertainment in the restaurant. A large free parking place. 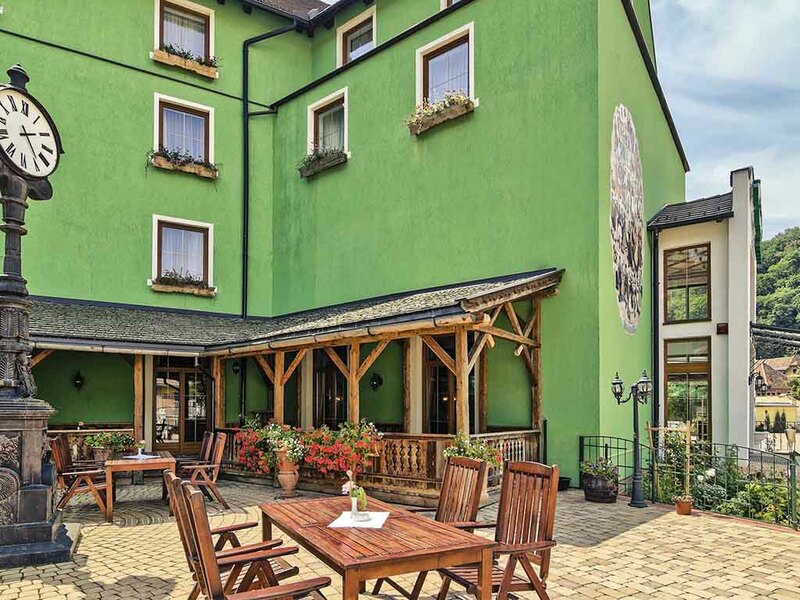 We loved staying at Binderbubi Hotel and we would definitely recommend for a great stay in Sighisoara. Happy to come back again! Liked the hotel, the rooms were large and comfortable. My only issue was the TV -the reception wasn't great and couldn't use the HDMI. Everything else was perfect. Location was great and parking was available. I'd return again. Generous rooms, excellent staff, very close to points of interest.